Thepchaiya Un-Nooh missed the final black when set for a maximum break at the Betway UK Championship on Tuesday night, which could have earned him a £44,000 jackpot. 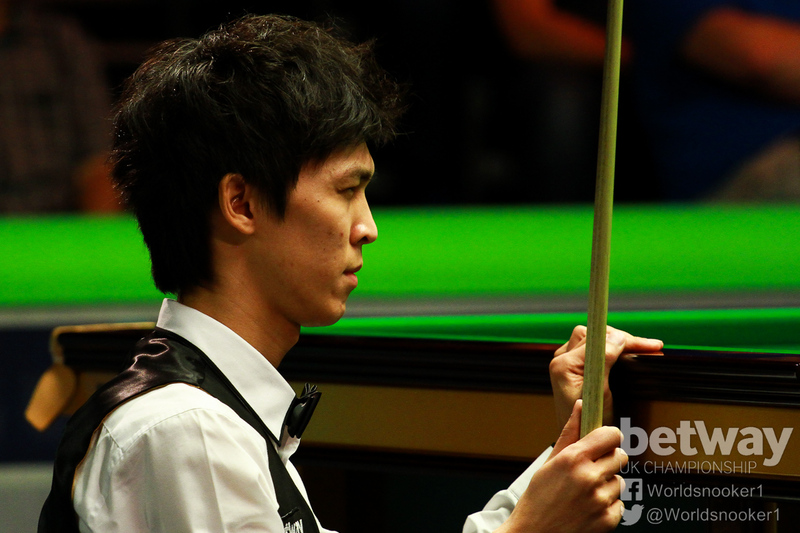 In the sixth frame of his last 32 match against Neil Robertson at the York Barbican, the Thai cueman potted 15 reds with blacks and all the colours…up to the last one. The black was on its spot but he slightly over-cut it to a top corner and it rattled in the jaws of the pocket. World number 36 Un-Nooh had pulled out several excellent pots to keep the attempt going, particularly on the last red, only to miss out on the rolling 147 prize of £40,000 and the tournament high break prize of £4,000. It would have been his first official maximum. He joins a small club of players to have missed the black on 140 in televised events, including Ken Doherty at the 2000 Masters and Mark Selby at the 2013 China Open. Bangkok-born Un-Nooh, age 30, has produced the best form of his career this year, winning the Six Red World Championship and reaching the semi-finals of the Indian Open and International Championship. Robertson in fact made a 145 in the very next frame to lead 5-2 and create a new target for the £4,000 high break prize, and he went on to secure a 6-2 victory. The last player to make a 147 in the final stages of a ranking event was Judd Trump at the German Masters in February. The rolling prize goes up by £5,000 each event.